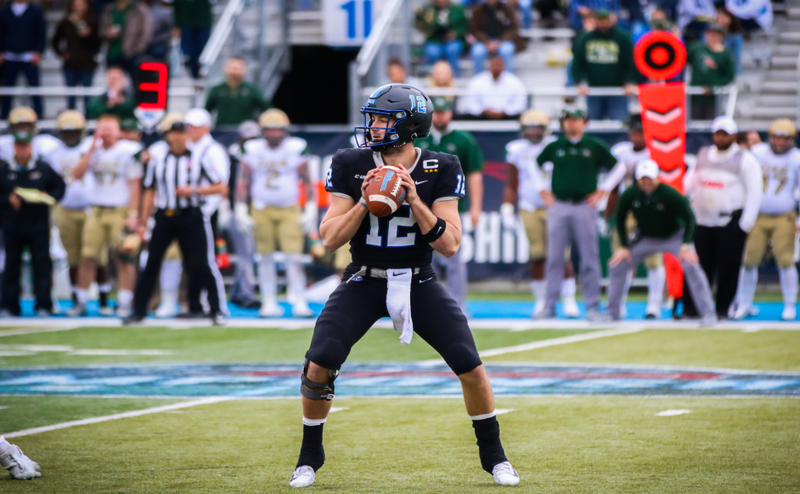 The Blue Raiders lost more than a game on Saturday, as Brent Stockstill injured his shoulder in their 45-25 loss to the University of Texas-San Antonio Roadrunners. Both teams scored out of the gate in this one, as Jarveon Williams scored his first of three touchdowns on the day to give the Roadrunners the lead. Middle Tennessee answered back with a drive that lasted less than two minutes. Stockstill threw his only touchdown of the day to Dennis Andrews to tie the game at 7. UTSA took the lead again on a 26-yard run by Jalen Rhodes. Rhodes and Williams combined for over 200 yards rushing on the day, as the Blue Raider defense struggled against the run. The game took a nightmarish turn, when Stockstill was sacked early in the second quarter and left with a right shoulder injury. He wouldn’t return to the field, although he did return to the sideline wearing a sling. Redshirt freshman John Urzua replaced him for the remainder of the game. His day didn’t start out well, as he threw an interception that set the Roadrunners up with great field position at the MTSU 40 yard-line. UTSA took advantage of the turnover, scoring on a 16-yard throw from Dalton Sturm, his only passing touchdown of the game that extended the UTSA lead 28-10. 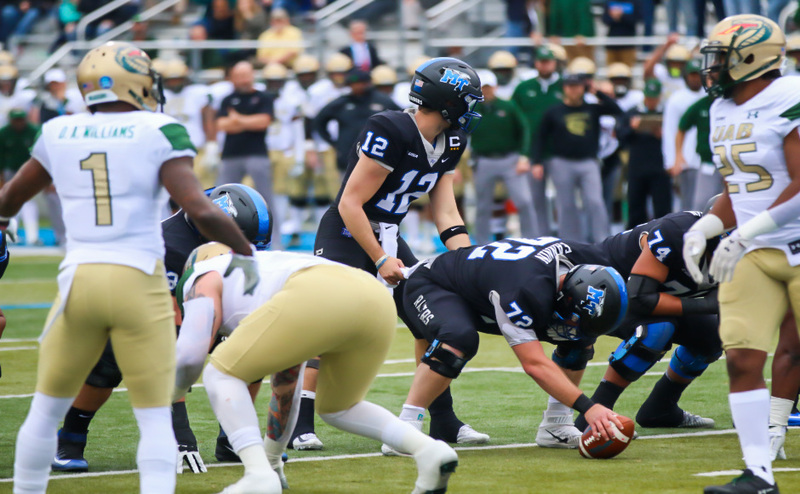 Urzua appeared to settle in on the next couple of drives, leading MTSU to a field goal before halftime and a touchdown out of the break to pull the Raiders within eleven points, 28-17. The defense faltered again, however, and the Roadrunners scored in two plays, pushing their lead to 35-17. That’s when the offense began missing Brent Stockstill’s presence. Urzua turned the ball over on each of MTSU’s next three drives, throwing two interceptions and fumbling it once. 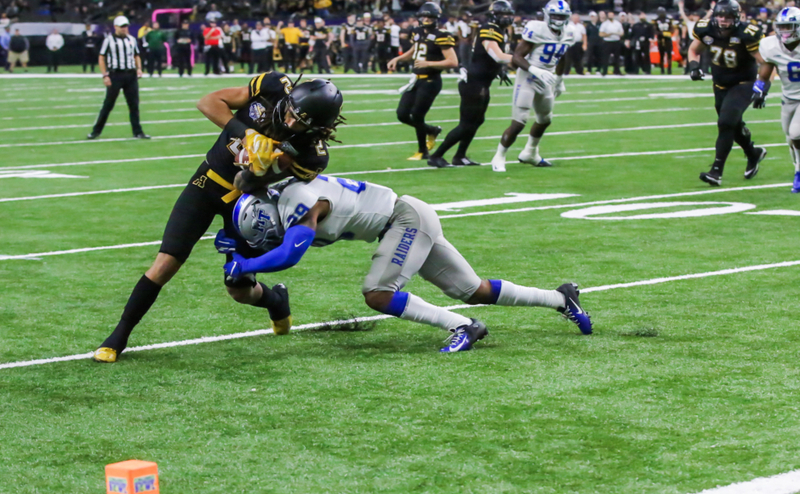 Two of these turnovers hurt even more, as the MTSU seconday got two interceptions from Charvarius Ward and Mike Minter to hold UTSA without a touchdown. The Roadrunners punched it in from one yard out to give UTSA its biggest lead of the game at 42-17 on a one-yard run from Sturm, after the fumble. The Blue Raiders continuously stalled on offense, until Terrell West scored the first rushing touchdown of his career. The Raiders got the two-point conversion to make the score 42-25. 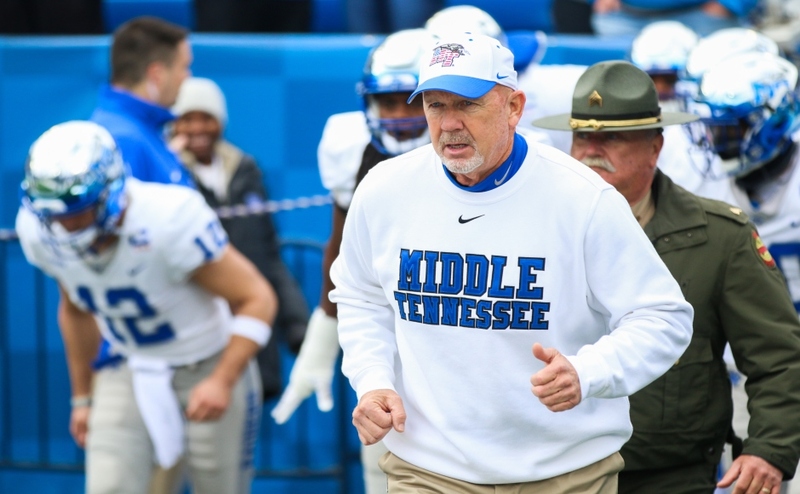 Middle Tennessee tried to rally in the fourth quarter but it was far too late, at the Roadrunners took the victory 45-25. Though it hurt to lose the game, the loss that everyone at Floyd Stadium felt was Stockstill’s. The redshirt sophomore broke the school record for career touchdowns by a quarterback in last week’s win over FIU. After the game, Urzua maintained that despite the tough situation he was in, he needed to step up. The defense didn’t help the offensive woes, as they surrendered 270 rushing yards. Missed tackles and assignments hurt the team the entire way today. Coach Rick Stockstill credited UTSA for their control of the ball as well as their defense forcing the turnovers from the offense. “When you put those components, them scoring on four of the first five [possessions] and us turning the ball over on three of our first four [possessions] in the second half, and our percentages on third down defense and offense were the difference in the game,” Coach Stockstill said. Brent Stockstill was unavaible for comment, as he was sent to the hospital to get a better look at his shoulder following the game. Coach declined to comment on Brent’s trip to the hospital, other than saying that it wasn’t good. “I don’t want to talk right now about it, but it’s not precautionary,” Coach said. Stockstill finished his short day completing eight of 11 attempts for 98 yards and a touchdown. Urzua completed 14 of his 27 attempts for 161 yards, one touchdown and three interceptions. He also fumbled once. Running back I’Tavius Mathers totaled 93 rushing yards, his first game with less than 100 yards on the ground in the past seven weeks. The Blue Raiders will be back in action next week, traveling to West Virginia to take on the Marshall Thundering Herd. Kickoff is set for 6 p.m.